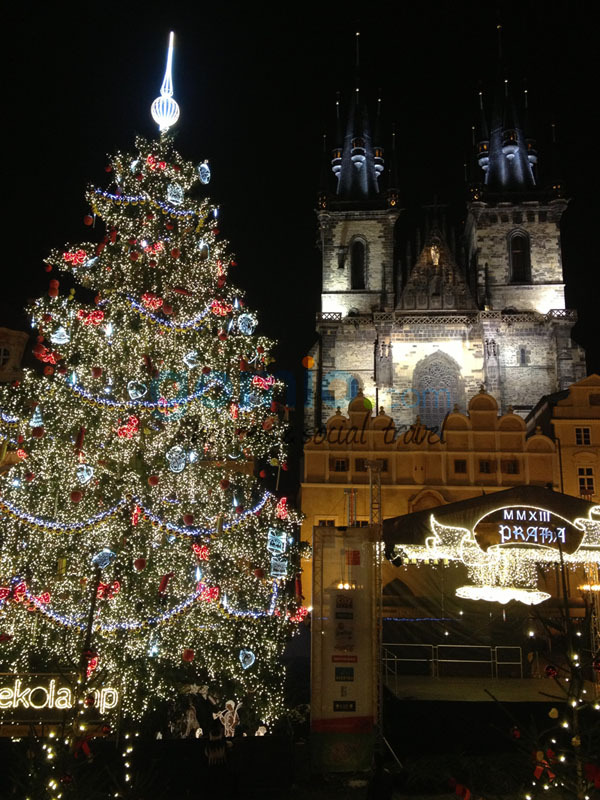 Christmas, our favorite holiday we all look forward to all year long. 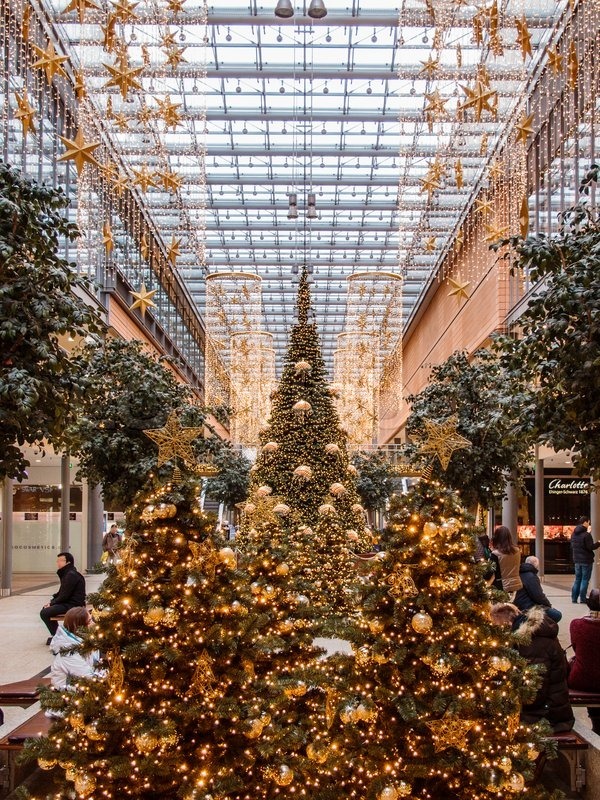 This year capture the magic of Christmas with bright colors, glistening lights, and mouthwatering treats. And the Christmas decorations don’t have to break your bank either because today we’re going to share some easy and totally awesome decoration ideas that you can make with the least bit of efforts. To achieve this captivating Christmassy look for your front porch, all you’re going to need is a ton of different ribbons and some ornaments. Start off with choosing wider, bigger ribbons in different colors. Start arranging the ribbons and the ornaments around the door and in the center too using a strong glue or small nails. Just a little effort and the results are to die for. Adorable as hell, this candy cane wreath is a little time taking but so easy that a child can pull it off. For the wreath you’ll need a foil plate and loads and loads of white and red yarn. 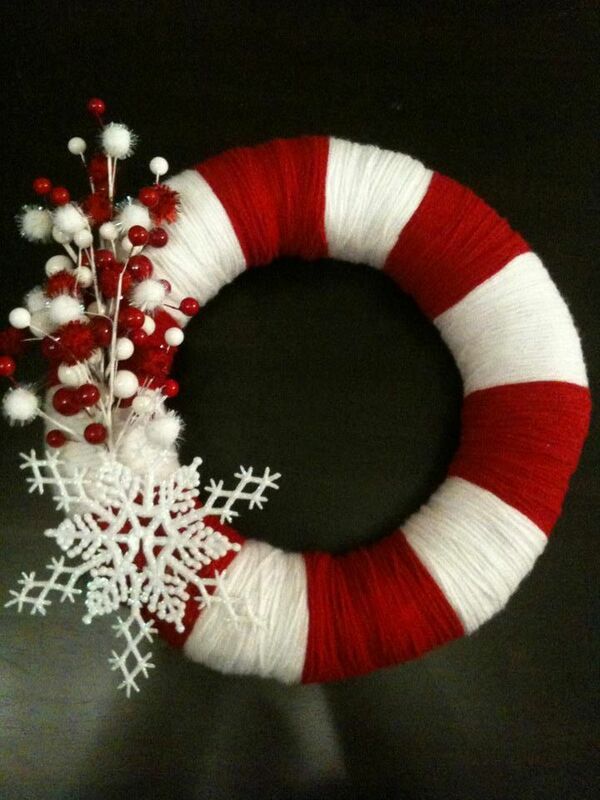 Cut out a circle in the middle and start covering the wreath with yarn alternating between white and red. Once you’re happy with the result decorate it with some little snowflakes. 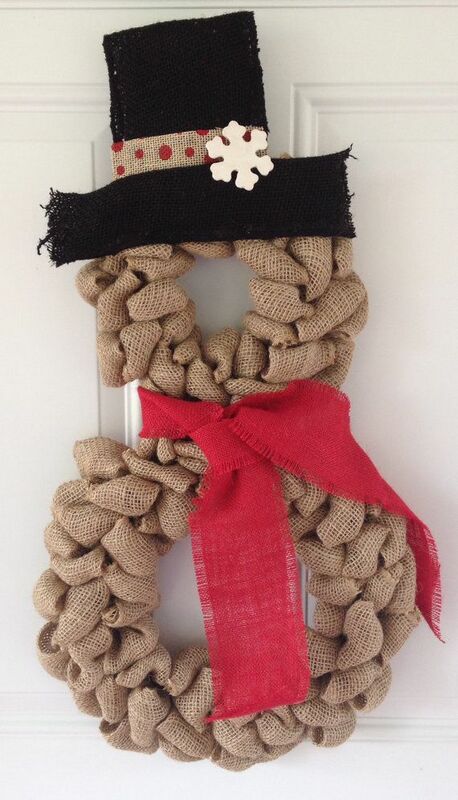 Give a little break to the conventional wreaths and try out this adorable little burlap snowman for a wreath. Just some simple ingredients do the trick to this recipe such as burlap, ribbons and some black fabric. Start off by cutting the burlap into small pieces and using a hot glue gun to stick the ends together to form a loop. Now stick the pieces together on a bigger wire wreath frame and on a smaller one. Stick the two circles together and get down to decorating the snowman with a little cap and a ribbon around his neck. For a fresh take on wreaths you can try out this fern wreath. Start by collecting a lot of twigs, pieces of fern, few pinecones, decorative berries, ribbon and a candy cane. Form a wreath using the small twigs and sticks and tuck the pieces of fern on one half of it. 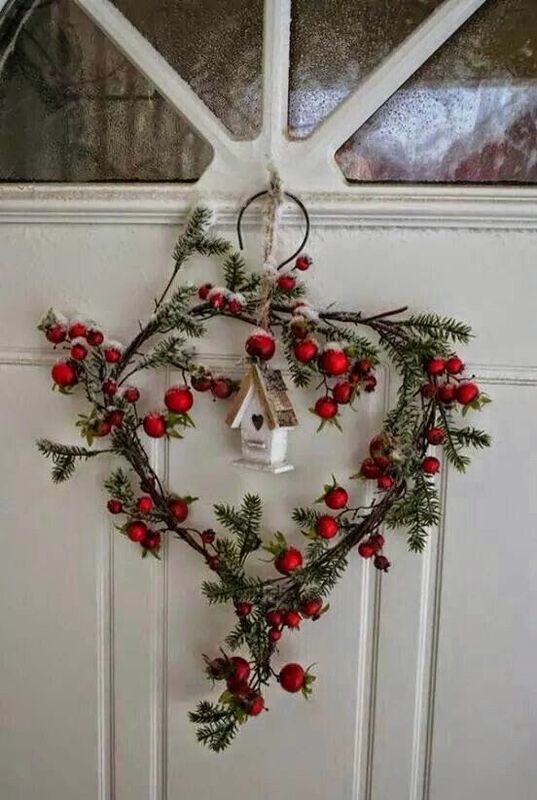 Add a few pinecones and decorate the wreath the way you please. Now if you have a pet, then this wreath might come handy. Just lay down the dog biscuits and the ribbon like a wreath and start gluing them. Just give it plenty of time to dry before hanging it. Also make sure to keep your little pet away from it so he doesn’t eat it up. 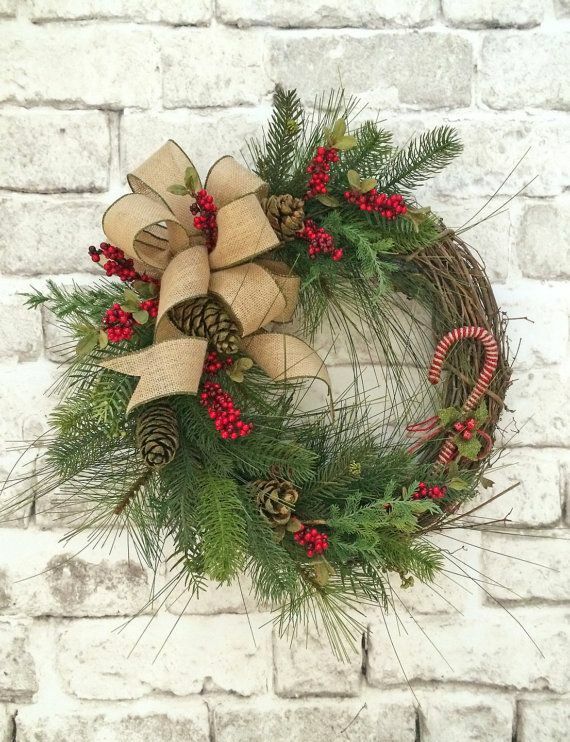 Probably the easiest one, this wreath will steal the show in the breezeway. 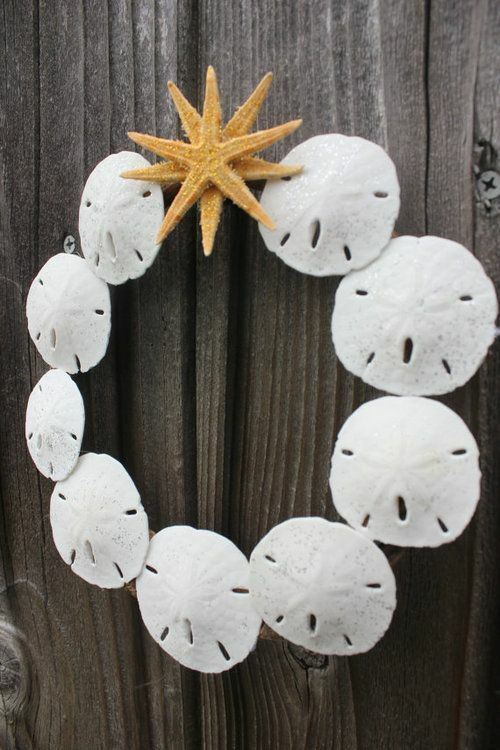 Just glue some white sand dollars on a plain wreath and finish off with a cute starfish. For an extra oomph srinkle some glitter all over the wreath. 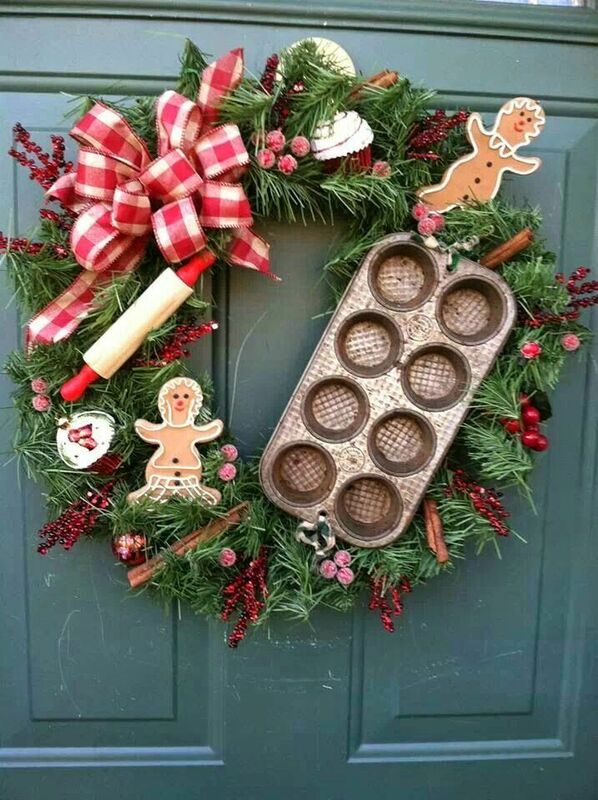 This one’s easy; just add everything you use in a kitchen onto a frame of wreath. Start off with a basic fern wreath and start sticking a lot of different things to it such as ornaments, snowman cookies, little cupcakes, a tiny baking tray, candy canes, a rolling pin etc. For this one, you’re probably going to have to take out all the old tiny toys, ornaments, little Santa and his elves. 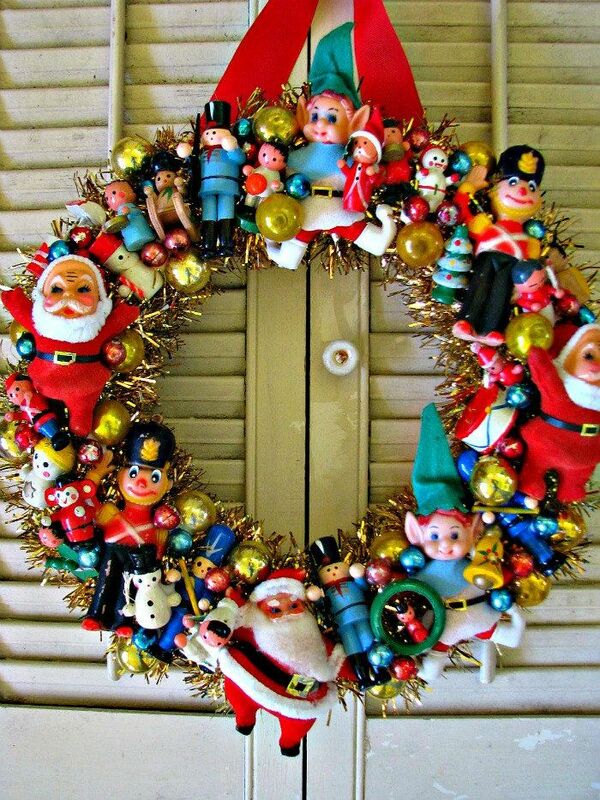 Just start gluing them together as close to each other as possible on a confetti covered wreath and you’re done. 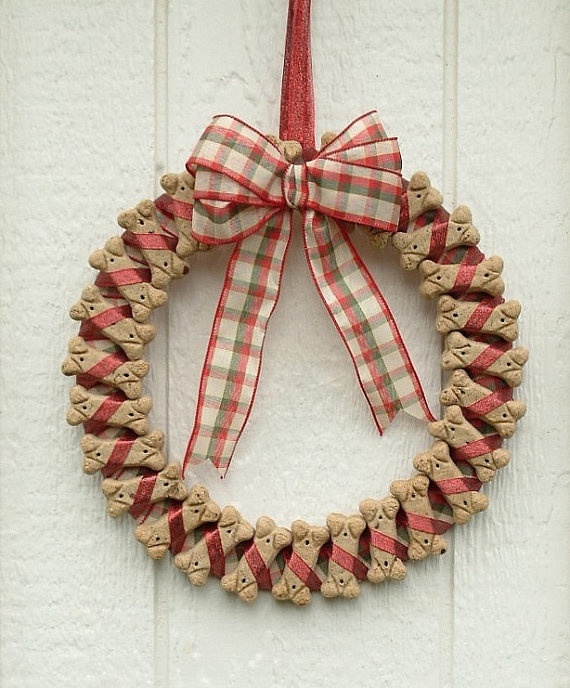 Just like the brown burlap, cut little loops from red burlaps and glue them together on a wire wreath frame. Throw in a black belt around in the middle and finish it off with a 3-piece Ho wooden letters. Like the name suggests tie up the twigs in such a way that it forms a wreath. Now tuck in little pieces of fern in between. Glue some decorative cherries or ornaments here and there to add some color to it. Hang a tiny little birdhouse In the middle to finish. 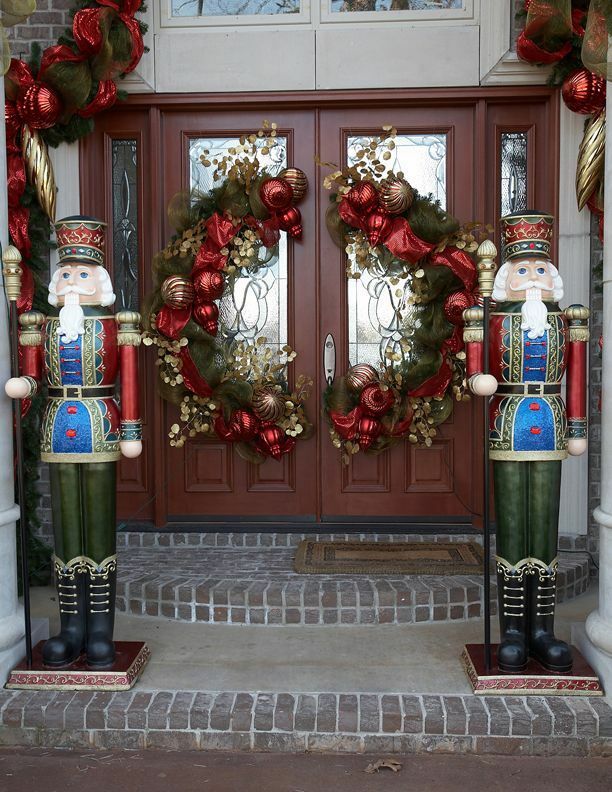 If you have a dual door entry, you must give this a try this Christmas. Take a big wire wreath frame and cut it in half. 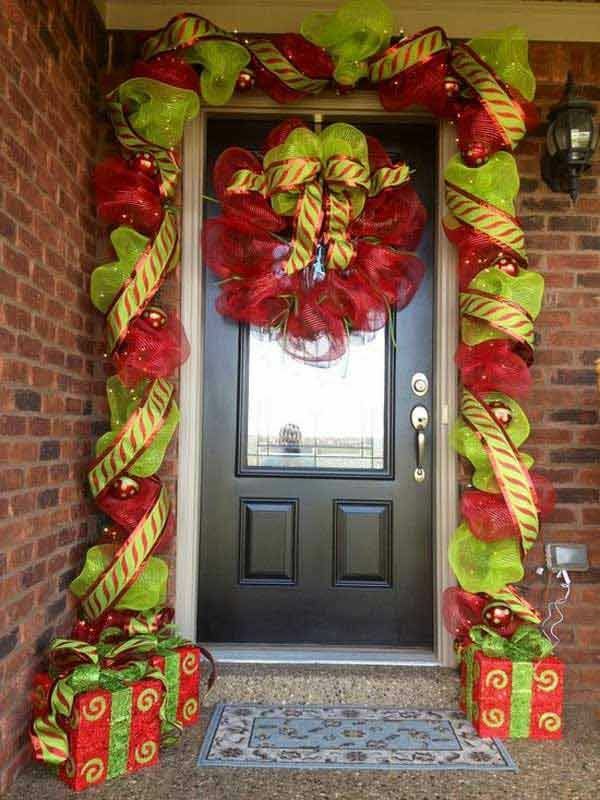 Decorate both the wreath pieces with big ribbons. Stick in large ornaments here and there. You can add metallic leaves to add a hint of gold. Once you’re satisfied with the result hang it on either side of the door. 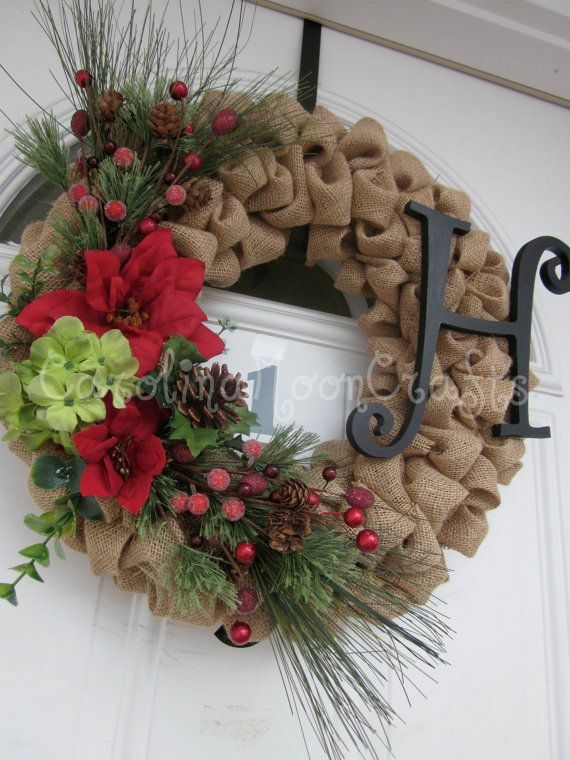 Take a big wire wreath frame and start gluing loops of burlap onto it. Cover the wreath completely and then start decorating it with artificial flowers, ferns, decorative berries etc. 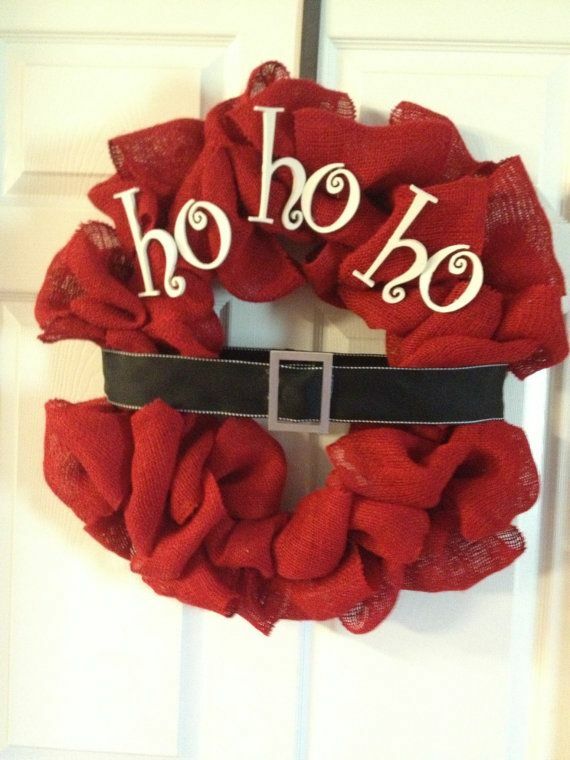 Add a huge wooden letter H on one side of the wreath. Once you’re happy with it, hang it with plenty of support. Whne you’re running out of options and you want to make a fast and easy wreath, this cute straw wreath is just the one for you. all you’re going to need is some straws and glue. Take straw in two different sizes or cut a few straws smaller than the rest. 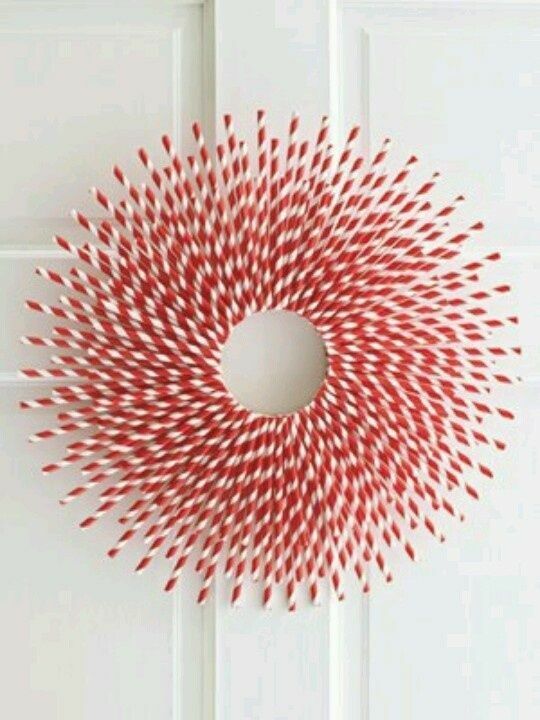 Lay down the straw forming a small circle and glue them together. And that’s it, you’re done! For a more colorful and distinctive take on wreaths, give this umbrella wreath a try. You’re going to need a wire wreath frame and a hell lot of colorful umbrellas. 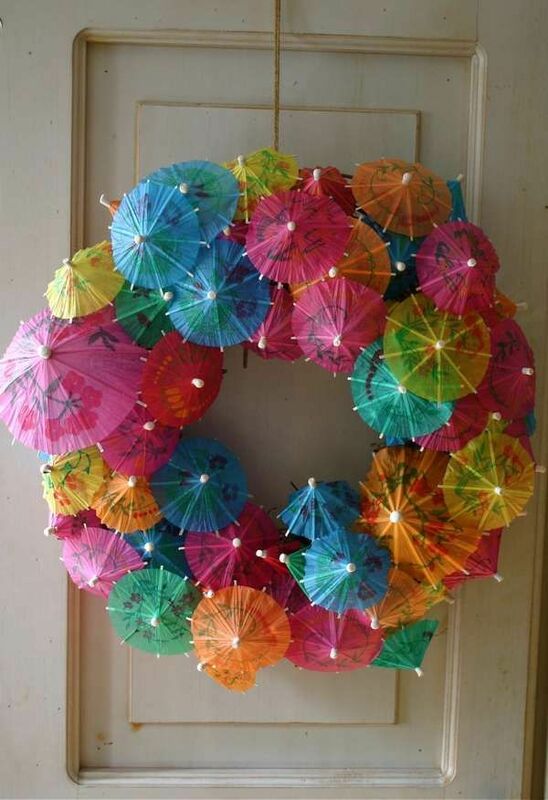 Like you would’ve guessed, just start tucking the ends and gluing the umbrella sticks onto the wreath frame. Make sure to use a lot of different colors. 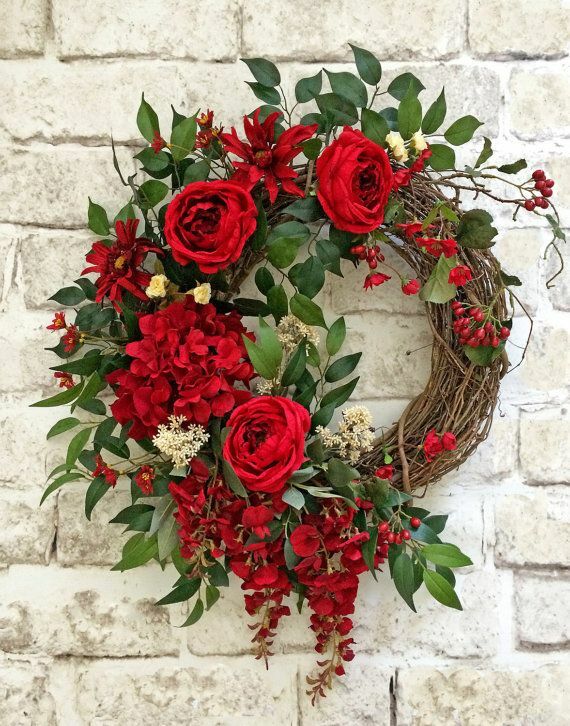 Using fresh decorative pieces such as twigs, fresh roses, fresh leaves, different red flowers to make this wreath will be the center of attention all of the Christmas. Use a basic twig wreath frame or make one yourself to get started. Take a lot fresh red roses and other flowers and tuck them into the wreath. Add fresh leaves and little berries around the corner to finish it off.